Mediterranean Basketball Association: To Be or Not To Be? Does Vassilakopoulos have a secret plan? The rumor first popped up a couple of days ago on Talk Basket and an intriguing bit of gossip it is, too. 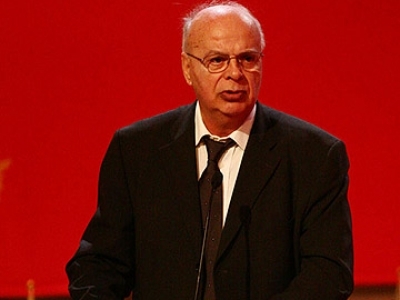 According to that website, the Hellenic Basketball Federation (EOK) and former FIBA Europe president George Vassilakopoulos are advancing the idea of a Mediterranean basketball league which would include teams from Bulgaria, Cyprus, Greece, Israel, Italy, Serbia, and Turkey. This is an excellent idea indeed in BallinEurope’s opinion, for, as Talk Basket points out, most of the domestic leagues in the above-listed nations are dominated year in and year out by a select team or two. We’re talking perennial championship teams like Olympiacos, Panathinaikos, Efes Pilsen, Fenerbahçe Ülker, Maccabi Tel Aviv, Partizan Belgrade, Montepaschi Siena and Apoel Nicosia: Franchises which would appear to have evolved beyond fair competition in their leagues. Unfortunately, this story is thus far highly unsubstantiated beyond some shaky forum mutterings. No reportage on the prospective Mediterranean Basketball Association has been printed on the websites of the Greek Basketball Federation, the Greek League (which under the theoretical plan would shed altogether four top-division teams that would be devoted full-time to MBA play), or Greek-language sports media site Sport.gr. Just in case you were wondering, the MediterraneanLeague.com domain name is already taken and cleverly redirects surfers to SportVideo.gr. Of course it’s totally possible that Talk Basket has a clean scoop on this story: The folks there have bagged some big headlines previously. For the present, however, BiE readers would be prudent to take this story with a grain of salt or two – after all, this league might be too logical, too rational, too exciting … and maybe even a bit too competitive for some of these perpetual runaway championship clubs…? If you hear/read anything on the MBA, please give BiE a shout. From what I understand the Greek Federation is quite serious about doing this league and has the backing of ULEB. Basically the same way that the Russian Federation setup the VTB United League and then the Russian SuperLeague became for the smaller Russian clubs, and had the backing of ULEB to form the good Baltic region clubs into one unified league in order to further develop the sport in Europe. And like how the VTB United League was setup with the money investments of the rich Russian clubs, so to would this league be setup with the backing of the rich Greek clubs. Clubs like Panathinaikos, Olympiacos, Partizan, Aris, Montepaschi, Milano, Roma, Efes, Fenerbahce, Galatsarray, Besiktas, Maccabi all want to play in stronger domestic leagues than they play in now and have the potential to make much more money through TV and attendance if the league was formed. So the VTB United League would be used as the model, except that it would be like the Adriatic League where the clubs would still play their national leagues and cups. They would be entered into the playoffs of their national leagues, but not have to play the regular season, and would still play in their cups. So like a combination of the Adriatic and United leagues. It’s interesting…because just in the last couple of years the Greek Federation has made a lot of changes to the Greek Cup and those changes just happen to all make perfect sense if some of the clubs moved to another domestic league. Also, the name of the proposed league…….”Mediterranean Basketball Association” or MBA, a play on NBA, certainly has a nice ring to it. This league is a great idea. Basketball is huge in all those countries. They have the passion and the love. This would create an ultimate league. I find that over the years the NBA is too concerned with playing games in countries where the sport isnt so developed and tend to skip countries like Greece to showcase NBA talent. All the European clubs have had some great leave them for the NBA.Yet over the years you dont see so many leaving. Greek players arn’t going to the NBA…and why would they. They have an advanced league of their own. Put the top Euro teams against one another and you have nothing but some crazy ball. So good stuff. Attention all organizers of this league: “MBA” is copyright BallinEurope! I think it would be better idea to create something that looks alike to NBA east and west conference in Europe. Instead of a Euroleague group stages to have an entire league and then the playoffs just like in NBA, off course leagues like Adriatic and Baltic league would not exist or they could be turned to second divisions of this new EBA league which would every year qualify several teams to that stronger league. Lets say winners of this “smaller” leagues (lets have 16 leagues in each conference) play cup system and two best teams qualify for EBA (2 in east, 2 in west conference) instead of two worst teams in that league conference. And off course at the end of season to have an Euroleague all stars game, that would be nice, what do you think? I like the idea of the Euroleague all star game. That would be nice. They should do that and also have the 3 point contest and the dunk contest. I’m not sure how they would pick 2 teams though. Maybe divide it up by east and west domestic leagues somehow I guess. Now the latest news is that Greek multi-billionaire Latsis wants to buy AEK Athens, whom he is a fan of. That would add another super club, with super money to this league. AEK also has one of the biggest fan bases in Europe. With the money of the big Greek and Turkish clubs, plus the money from the Greek Basketball Federation and the Qhatari basketball federation that league is going to really be a force. The Spanish ACB League becomes the second best domestic/regional league the instant that the Mediterranean League is formed. 6 clubs that are in the Euroleague every season, plus 3 clubs that are in the Eurocup every season……. Maccabi of Israel plays in the Euroleague. Israeli and Anatolian (Asian side) Turkish clubs play in the Eurocup. Toronto (Canadian team) plays in the “National” (of USA) Basketball Association. So I don’t see why the Mediterranean League can’t have a team from Qatar or Partizan (Serbia) in the league. In fact, you mention the Adriatic League……..well, the Adriatic League has teams from Serbia and Czech Republic in it, neither of those countries are on the Adriatic. The Adriatic League has also invited a team from Poland before, which is not on the Adriatic either. So obviously, the Mediterranean League can have one or 2 teams that are not Mediterranean teams, just like all those other leagues. Al Jazeera wants to broadcast the games throughout the Mideast. I also heard that Vassilakopoulos is negotiating with Eurosport to broadcast the games throughout Europe.